It was a full house at the Black Swan Inn on Thursday, and probably a good thing too in a Tudor pub with single glazing and high wind levels outside. Once the room was full and the lights were dimmed, the night kicked off with the Master of Ceremonies, Eddie Affleck and local performers John Cherry and Toni Burnell. The audience received a diverse taste of folk styles from traditional Scottish war tales, original ballads about the love of a pastoral haven, and the bawdy acapella pub singer encouraging the audience into a chorus about the pantomime elephant’s bottom. She began with a traditional Irish love song and moved across countries and styles including compositions from Teeside, to traditional South American folk sung in Spanish, a little Edith Piaf and even some Willie Nelson. She captured each song with the appropriate ‘va-va-voom’ and tenderness where required. Alongside her music, she had the audience enchanted and laughing with her comedic interludes, mostly focused on her acclimatisation to life in the North East of England and her interesting accent which is probably best described as ‘Geordie with a hint of French’. After the interlude, she took us back on our European acoustic adventure with some Jaques Brel, beautifully and lyrically sung in the original French, covered a little more Irish war history, before uniting the audience in choruses of Killing Me Softly, What a Wonderful World and finishing, of course on Edith Piaf’s Non, Je ne Regrette Rien. 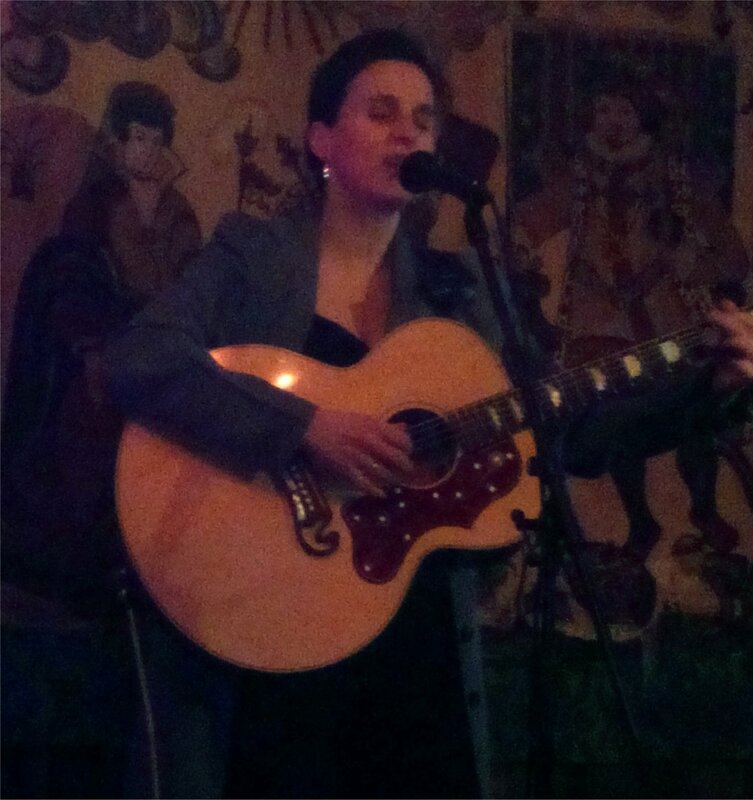 It was a wonderful evening with a witty and enchanting performer who could really capture and involve her audience. We look forward to catching her when she’s in this neck of the woods again.